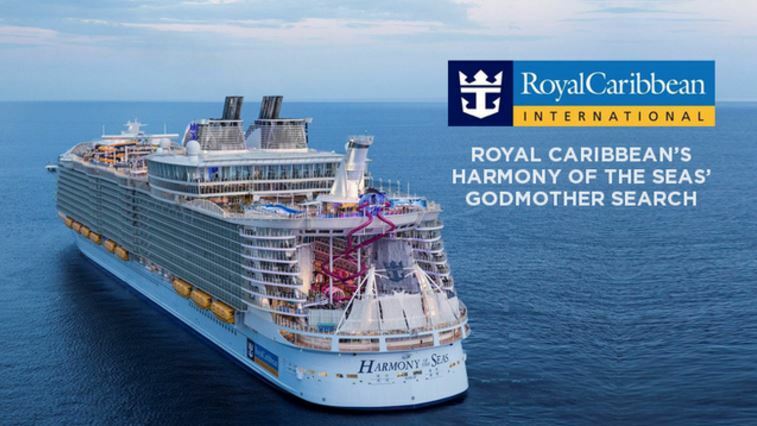 The world’s largest and most innovative cruise ship, Royal Caribbean’s Harmony of the Seas, may boast seven distinct neighborhoods, unparalleled dining and entertainment, and thrilling features like the Ultimate Abyss, two surf simulators and a zipline, but there is one thing she is missing… a godmother. Currently providing guests the cruise vacation of a lifetime in the Mediterranean, Harmony of the Seas will make her U.S. debut this November when she arrives into her new homeport of Port Everglades in Ft. Lauderdale, Florida. To celebrate her homecoming, the South Florida-based cruise line is partnering with South Florida ABC affiliate Local 10 to look in their own backyard for a woman who is inspiring the next generation to dream big, think differently and challenge the status quo, and has launched a contest to honor this hometown hero by naming her godmother of Harmony of the Seas. South Florida residents are encouraged to visit www.local10.com/godmother and nominate a mentor, educator or teacher whose passion for education and a better tomorrow inspires students to make a positive impact on the world. The winner will not only be honored as godmother of Harmony of the Seas during the ship’s official naming ceremony on November 10, 2016, but a $25,000 grant will also be awarded to her school or non-profit organization to fund education initiatives that will further her mission to inspire South Florida’s youth. In addition, the godmother will have the opportunity to host a “field trip” for those whose lives she has influenced to be her guests at the Harmony of the Seas naming ceremony, and will set sail later that evening with three guests on a two-night pre-inaugural cruise. She will also receive a future seven-night cruise for two onboard the ship. The contest is open to volunteers, full- and part-time employees of a school or educational organization in Miami-Dade County, Broward County or Palm Beach County. Self-nominations are also accepted. Nominees must be legal residents of Florida and 21 years of age or older at time of nomination and nominators must be 13 years of age or older as of date of entry. A maritime tradition and honor historically reserved for heads of state, politicians and celebrities, godmothers not only break a bottle to christen a ship, but also serve as guiding spirits to its guests and crew. In more modern times, criteria for the title shifted from being affluent- to merit-based, making Olympians, philanthropists and industry leaders the choice honorees. In selecting its Godmothers, Royal Caribbean looks to capture the essence of the role by honoring women whose life lessons and achievements illustrate the kind of courage, dedication and determination that are an inspiration to all. 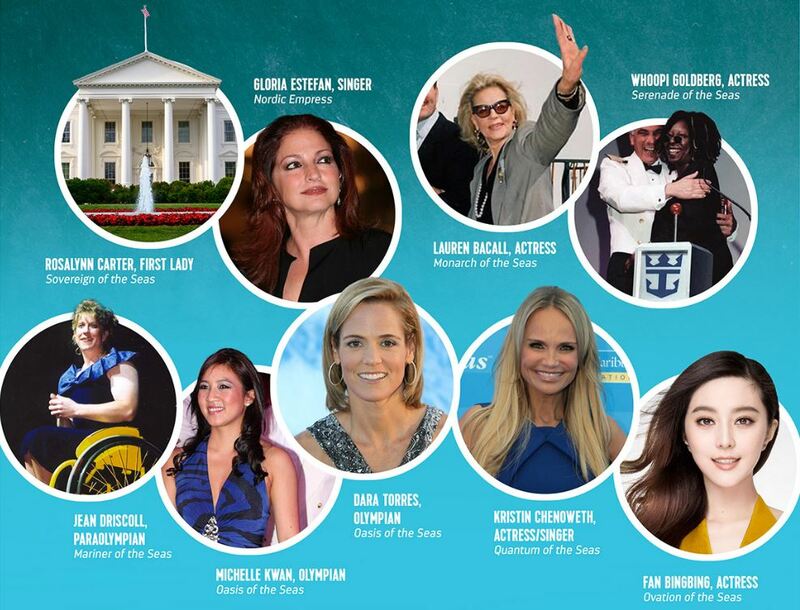 Godmothers for Royal Caribbean ships have included former US first lady Rosalynn Carter, comedian/actress Whoopi Goldberg, champion wheelchair marathoner Jean Driscoll, Olympians Michelle Kwan, Dara Torres, and Shawn Johnson, award-winning performer Kristin Chenoweth; and South Florida’s beloved singer and entrepreneur, Gloria Estefan. Most recently, acclaimed actress, fashion icon and philanthropist, Fan Bingbing welcomed her ship, Ovation of the Seas to China. 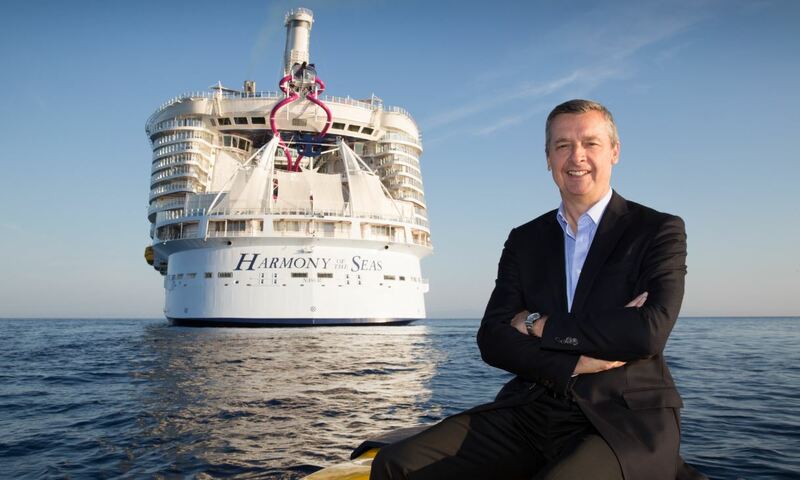 Harmony of the Seas will arrive at her homeport of Port Everglades, Fort Lauderdale, Fla. in November 2016, and will offer seven-night Eastern and Western Caribbean sailings. The newest member of the fleet will join sister ships Oasis of the Seas and Allure of the Seas, homeported in Port Canaveral and Port Everglades respectively, on the east coast of Florida. The largest cruise ship in the world spans 16 guest decks, encompasses 227,000 gross registered tons, carries 5,497 guests at double occupancy, and features 2,747 staterooms. For a closer look inside Harmony of the Seas click here. Official Rules can be read by visiting www.local10.com/godmother. The entry period for nominations ends on September 23, 2016.